Thinking of closing physical stores? Think again. Phil Wahba discusses how physical stores are supporting online sales. When you’ve finished reading the first article, be sure to read this one about embracing your comparison shoppers to build confidence and trust, and interact with them. If you use SEO, social media, or other digital advertising, machine learning is important to you. This MultiChannel Merchant article discusses machine learning as it impacts eCommerce. Will the cyber world ever be without threats? Maybe not. So your employees should always be aware of who and what is lurking out there, and how to protect your business interests. Check out another poster from Halock to remind them of a few simple rules. 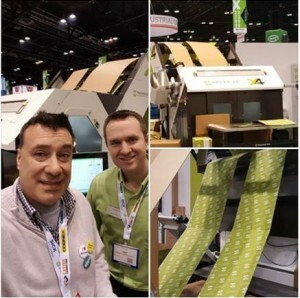 We hope you had a chance to visit ProMat 2017 for manufacturing, distribution, and supply chain professionals. This is a great opportunity for us to discuss how InOrder helps grow your business and supports the unique needs and brands of each of your clients – no matter how many you have. Thanks to InOrder, your clients get better service while you get lower overhead and increased efficiency from a complete, stable, off-the-shelf, highly modular software system that lets your enterprise grow without fear, worry or limitation. 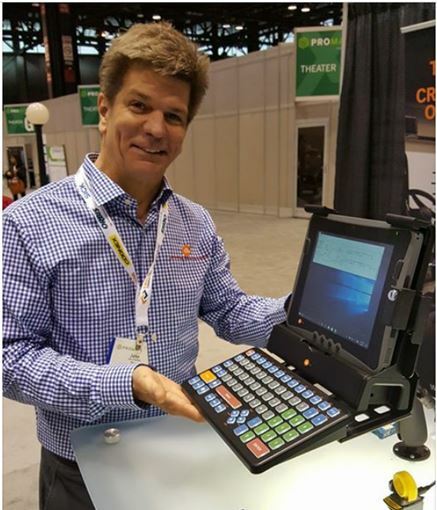 At the show, we had a chance to check out tools that integrate with InOrder. Here, John Hutchens from dataltd.com demonstrates ultra-rugged Windows 10 warehouse devices that run on forklift batteries, for mobile InOrder Packing Verification and similar applications. And here, Jerrod and Tony discuss an InOrder – Packsize Integration Project. InOrder feeds shipment data to Packsize, which cartonizes shipments and then produces on demand pre-sized pre-labeled shipping boxes, thus minimizing dim weights. The best part of the show was everyone we met. If we didn’t get a chance to talk to you, just ask for your free demo to see what InOrder can do for you. Do You Need an ERP System? An Enterprise Resource Planning (ERP) system commonly integrates information across the organization. This system, which relies on a single database, automates the flow of information within the system. Most systems are modular and allow you to add modules as you grow. Modules are usually tightly integrated; an update in one module often affects information in other modules. The modules all carry a consistent look and use the same layout. In the past, ERP systems were for very large enterprises. In the last decade, systems have been designed for smaller businesses. A well-designed ERP system usually incorporates many aspects of a business – from CRM, order management and the supply chain to sales, accounting and marketing. It integrates all of your separate, divided systems and processes into one unified system. A typical ERP system can manage your inventory and warehouse functions, process orders and payments, drive business growth with promotions and other marketing efforts, and protect customer data. It can even manage commissions, royalties, and contracts, help with job costing, and so much more. An ERP system can give you a more clear view of your business. It can eliminate old and outdated systems, as well as manual and paper processes, while providing more efficient operations across your enterprise. 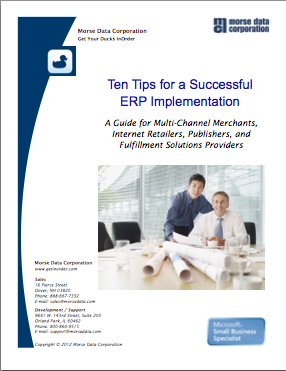 First, make a list of your business processes and what you’d like an ERP system to have. You’ll want a system that can easily create reports and provide access to current documentation. Do you need inventory or warehouse management? Do you want your Customer Service Reps to help grow your business? Do you want a real-time shopping cart? Decide what you need, and what you want to accomplish. Then, request a free demo to see if InOrder is right for you.